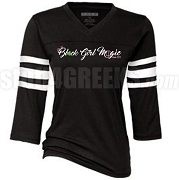 All orders must be submitted no later than 9/21 in order to be printed and shipped in time for homecoming. 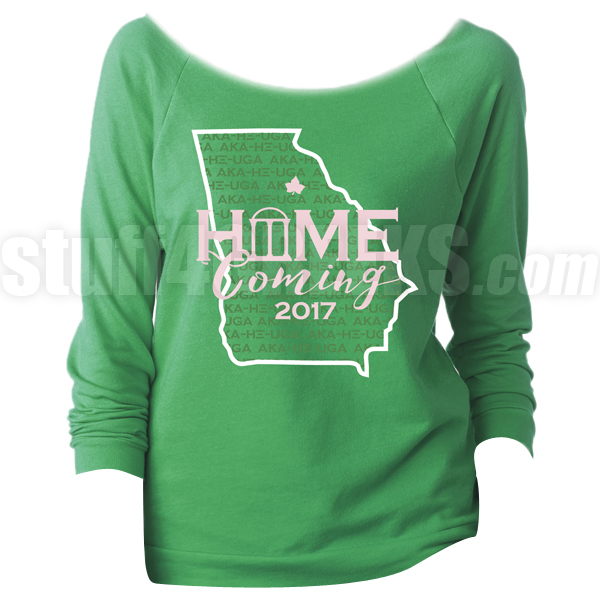 Envy Green Alpha Kappa Alpha Eta Xi Homecoming off-the-shoulder shirt with a Homecoming 2017 design across the chest incorporated with the State of Georgia and a “AKA-HX-UGA” background print. This shirt is screen printed. You will earn at least 44 rewards points for this purchase. Your total rewards points will be higher based on the options and quantities that you choose. Your merchandise total at checkout is your true rewards value. Pre-Order - This item will be available on 10/6/2018.